Chronicles of the film festivals we’re attending. 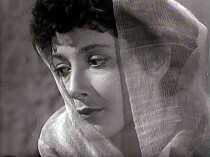 The dreamlike phantasmagoria and poetry that underpin so many Georgian films have captured the imagination of cinema-lovers the world over, and Georgian cinema is currently enjoying an enthusiastically renewed appreciation. This January, Helena R. Kernan from University of Cambridge is putting together a short season of Georgian cinematic gems for London-based film aficionados. EISENSTEIN IN GUANAJUATO (2015) Fringe! Queer Film & Arts Fest Rio Cinema, Tuesday 24 November, 8:30pm This startling, joyful whirlwind of a film takes us on a completely over-the-top journey of Russian auteur filmmaker Sergei Eisenstein’s trip to Mexico in 1931. On Thursday 12th of November the SSEES Centenary Film Festival will show a 1970 Soviet Latvian comedy costume drama film VELLA KALPI (The Devil’s Servants), written and directed by Aleksandrs Leimanis and produced by Riga Film Studio. On Tuesday 3rd of November, the SSEES Centenary Film Festival will show a 1967 Finnish drama film Työmiehen päiväkirja (Diary of a Worker, also released as Not by Bread Alone), directed by Risto Jarva. On Monday 26th of October the SSEES Centenary Film Festival will show a 1954 Yugoslav film directed by Vladimir Pogačić, ANIKINA VREMENA (Legends of Anika). The screening will be introduced by Vlastimir Sudar, Professor of Film History and Theory, University of the Arts London. On Wednesday October 21st the SSEES Centenary Film Festival will give us a taste of documentary films produced in socialist Romania at the Alexandru Sahia documentary film studio. On Tuesday 20th of October the SSEES Centenary Film Festival will show a once banned Czechoslovak film EXTASE (Ecstasy, 1933) by Gustav Machatý. On 13th of October the SSEES Centenary Film Festival will treat us to a masterpiece of early Soviet Ukrainian cinema, a 1927 silent revolutionary epic by Oleksandr Dovzhenko, ZVENYHORA. The full programme of the festival is available here. 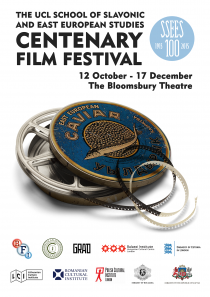 To celebrate one hundred years since its founding, the School of Slavonic and East European Studies (University College London) is organizing a season of films to showcase Eastern European cinema during the last 100 years. On Thursday, 23 October, Pushkin House kicks off a four-day film festival ‘Saint Petersburg: Take Another Look’. The programme includes nine films – documentary and feature, classic and contemporary – but all in some way are united by the city of Saint Petersburg. The Man in The Orange Jacket (М. О. Ж., 2014) is a privately financed Latvian horror film directed by Aik Karapetian. It premiered in The Montreal World Film Festival in 2013 and since then does not cease to attract attention of international film critics that consistently compare Karapetian to David Lynch and Lars von Trier. This insightful review of Aleksei German’s Hard to be a God is courtesy of our today’s special guest writer John A. Riley, Woosong University. Originally published in SLOVO, vol. 26, no. 2 (Autumn 2014), 29-30. 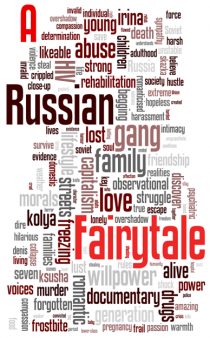 We The Peoples Film Festival (8th-21st November 2014), organised and sponsored by the United Nations Association UK Westminster Branch, will host the screening of A Russian Fairytale and Q&A with director Jake Mobbs on Tuesday, 11 November 2014 at Ravensbourne University. 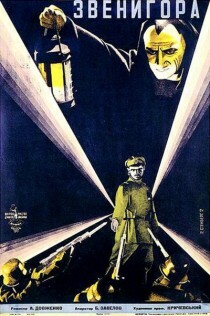 The London Lion Award – the highest prize of the 7th Russian Film Festival – was awarded to WINTER JOURNEY, a film repressed in Russia on the basis of ‘gay propaganda’ law. When a cardiologist, having attached sensors to her patient’s chest, casually informs him that their spouses are having an affair with each other, the viewer is invited to step into a weird, dreamlike universe of Kirill Serebrennikov’s latest film Betrayal / Измена. Pipeline, the latest film by the renowned Russian documentary film-maker Vitaly Mansky (Anatomy of t.A.T.u., 2003; Virginity, 2008), follows the course of the Trans-Siberian gas pipeline from secluded parts of Asian Russia into the heart of Europe.